Some, if not most, patients dread going to see the dentist. It is commonplace for patients put off their dental appointments until the day they are in pain, swollen, or notice that the hole in their tooth is too large to be ignored any further. This habit can not only harm your smile but your overall health! 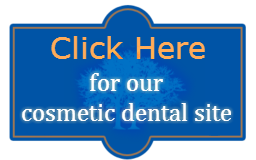 Dental Care of Walnut Creek is an amazingly different visual and mental experience. With a low light ambiance and old town European decor, our goal is for our patients to experience dentistry in a setting that does not feel like a traditional white walled dental office. The spa-like setting allows patients to relax mentally and physically so dentistry can be fun and fearless. This paried with advancement in technology and better training from dental colleges comes the new generation of dentists that provide the care that is very different than the previous generation of dentists. 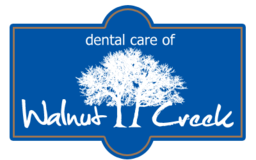 At Dental Care of Walnut Creek, we focus on creating an atmosphere that is different than any other dental office. The comfort of our patients before, during, and after treatment is extremely important to us. Our goal is prevention for optimum oral health. We take the time to teach our patients about their teeth and how to prevent future problems. Come visit us to take a tour of our office or to set up a second opinion consultation. You will be glad you did. Contact us today at 925-937-9017 or CLICK HERE for an appointment. New to our practice? Download our New Patient Packet here.